One interesting fact that most people are unaware is yams are often mistakenly called sweet potatoes, and vice versa, but they are two different vegetables. 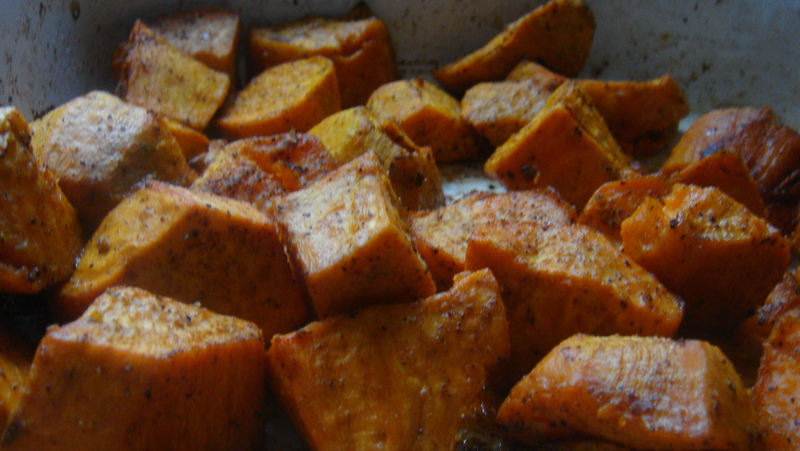 Sweet potatoes are delicious, but nothing compared to yams. 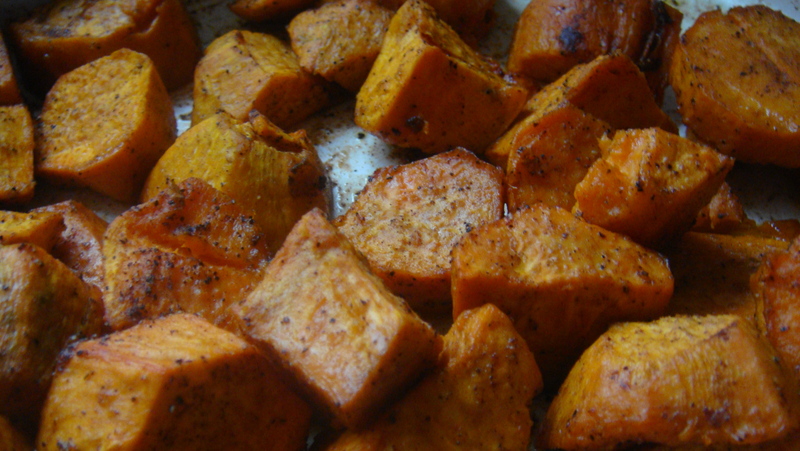 Yams have more nutrient and less calories then any potatoes. Just a little info before the journey begins. Slice the yams in block forms like above. 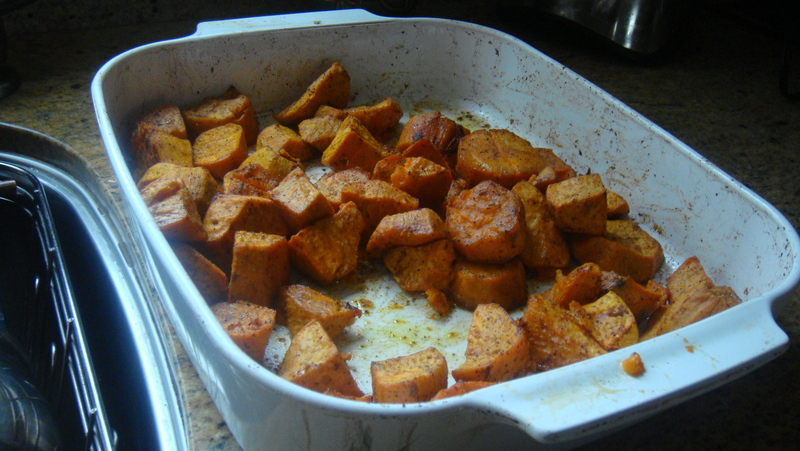 Oven roast the yams and you got it! So golden and sweet, makes the taste bites go crazy. 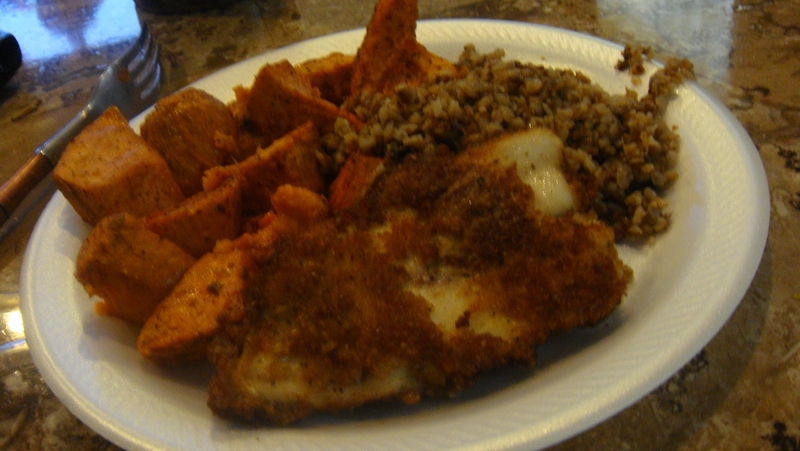 Furthermore, we shall get right into the main dish, our Tilapia Fillet. To season this fish is extremely easy. and this time we used bread crumbs to give it the extra crunch. One must wonder what that grainy side dish must be…? 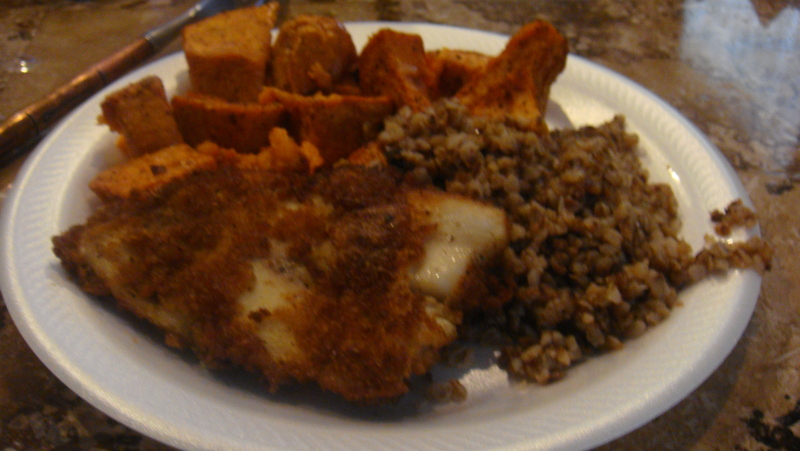 The one and only Buckwheat… Yes its hard to find, (Usually only at Wholefoods) but it makes the meal more health considering you are eating fried fish. Thank you all for checking out Colorfulfoods, now go and try it yourselves. Tell me how you can improve this meal ..